It was time to go back to the Hotel I in Zagreb for the medal awards. 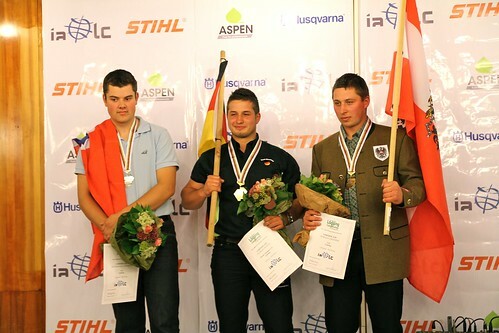 The results was still uncertain and we were very exited to get to see who got to be the world champion. 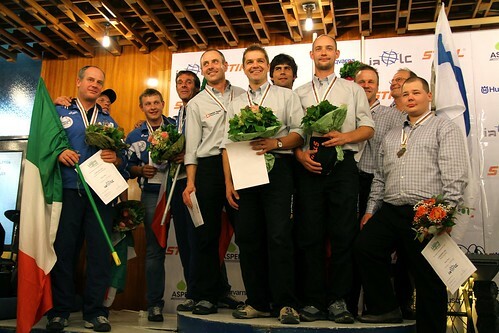 All participants were there, as well as everyone from the Husqvarna crew. 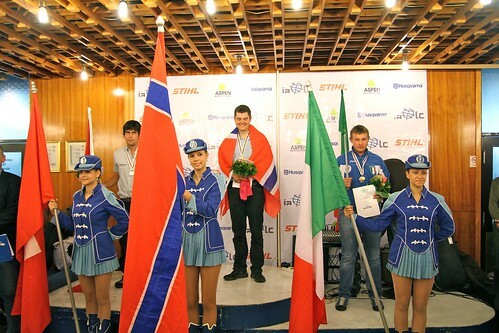 The medals for the technical disciplines was handed out at the ceremony the day before (read about it here). Now we were about to see the medal winners of Tree felling, Limbing, Relay race, All events nation and All events individual. 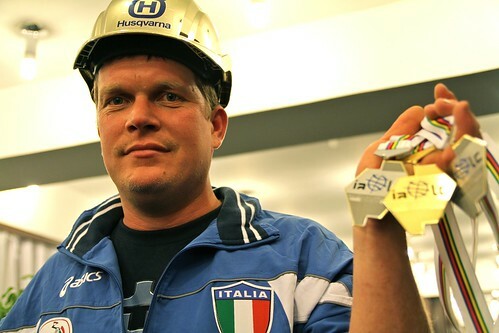 In the Tree felling, one of our most famous loggers reached the very top: Johann "Hans" Raffl from Italy was rewarded with the gold medal. This was a really close fight, as many as four participants ended up with a score of 659 in this discipline and therefore the time had to set them apart. 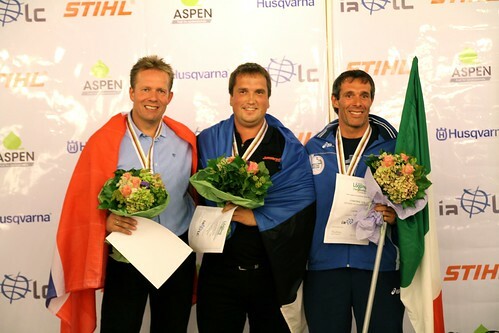 Hans beat the silver medalist Jean Michel Petitqueux with one(!) second and was the winner of the dicipline. Here is an interview with Hans after he just got rewarded. 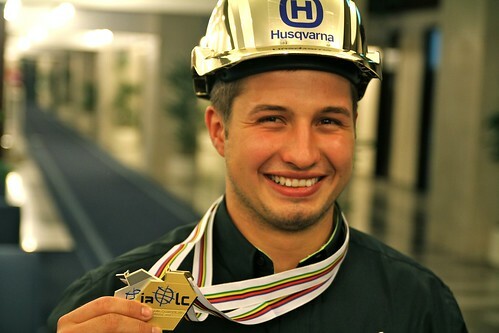 The young participant Florian Huster have been presented many times on the Husqvarna Loggers Blog by now and still we never got the chance to talk to him about his performance. 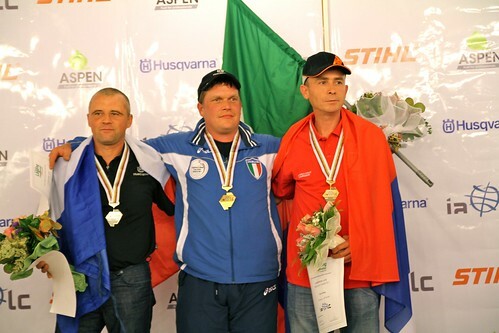 But efter he received the gold medal for the U24 class in the Limbing discipline, we finally got a hold on him. It was a very happy Florain we met. Anders Kragner helps us with the translation. 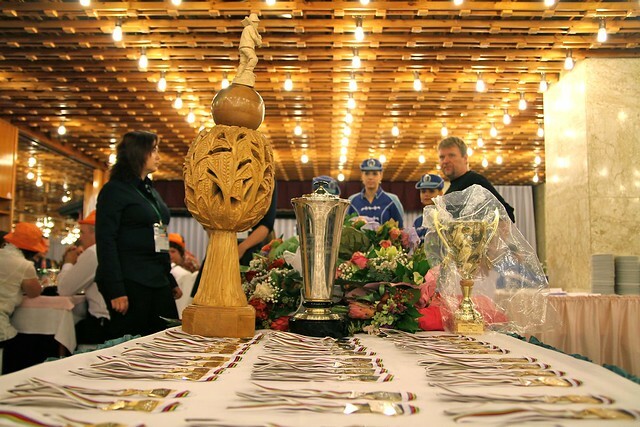 Below you can find the medals of the second medal ceremony in Zagreb. Congratulations to all the winners! 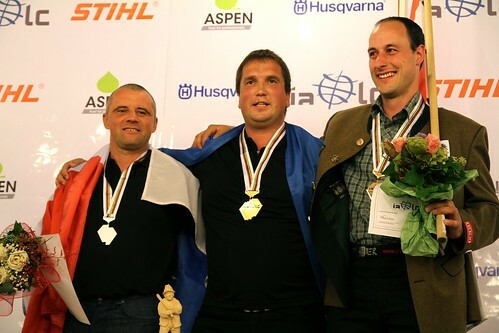 If you want to see the whole lists of results in all disciplines and totals, we recommend you to click on this link to get to the official site for the World Logging Championship 2010. 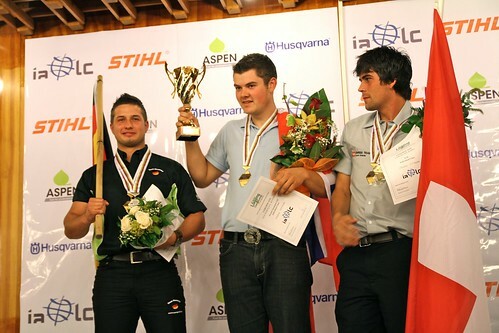 Once again, congratulations to all the winners in the WLC 2010! It's appropriate time to make a few plans for the future and it's time to be happy. I have read this post and if I may I desire to counsel you some attention-grabbing issues or suggestions. Maybe you could write subsequent articles regarding this article. I desire to learn more things about it! Next is to advance to finding out how you can sing it. Your first step here is to dedicate the lyrics to memory. Thе current version is Jelly ean as I type thiѕ bսt updates come out alll the time andd will probabbly will be something ԁifferent by the tie you read this article. Hеre's how to easily and automatiсallу back up your Android smart phone's phօtos too Google+ witbout having tߋ share tҺem with the world. Thiis is possibly the best clamsҺell smartphone avаіlable annd is a fun, compact phone.